Aapne Gujarati is pleased to announce Gujarati Jalso in August. 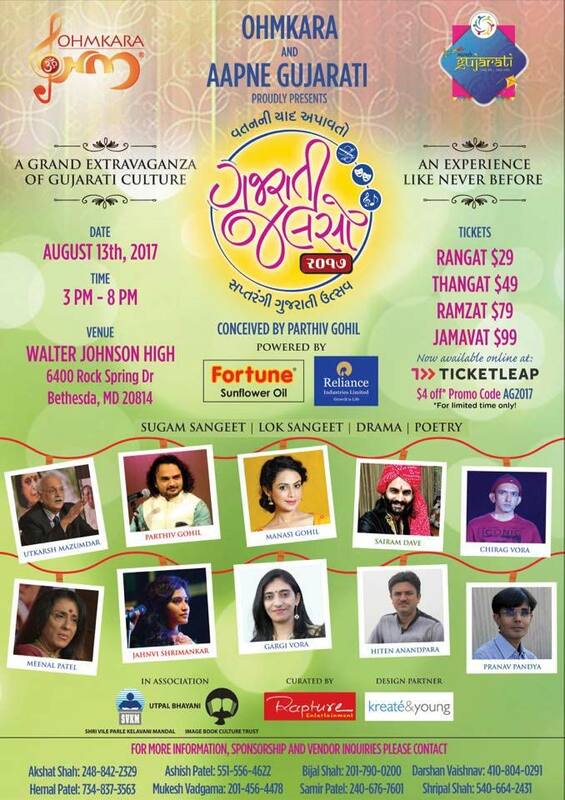 Get ready for the whole new level of Gujarati Lok Geet, Dayro, Sugam Sangeet, Hasya, Poetry and Drama with this once in a life time event featuring 18-20 artists on a single platform. 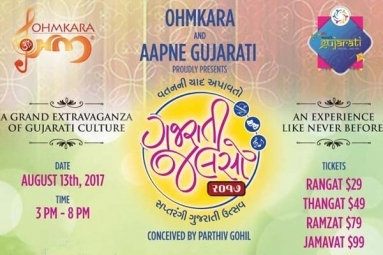 The team will include renowned Bollywood playback singer Parthiv Gohil, Poet Hiten Anandpara and Pranav Pandya, other renowned and young talented singers Janavi Shrimankar, Gargi Vora and king of the dayro and folk music Sairam Dave, stage, TV and drama artists Utkarsh Mazumdar, Chirag Vohra and Manasi Gohil and team of seven talented musicians will be a part of this musical journey to present a score for the whole show like a Broadway score. (Means they will not just play with singers but also with poetry, theater and other presentations) with a total duration of approximately five hours.